Yesterday I wrote about Ezekiel's vision of the Valley of Dry Bones in Ezekiel 37. 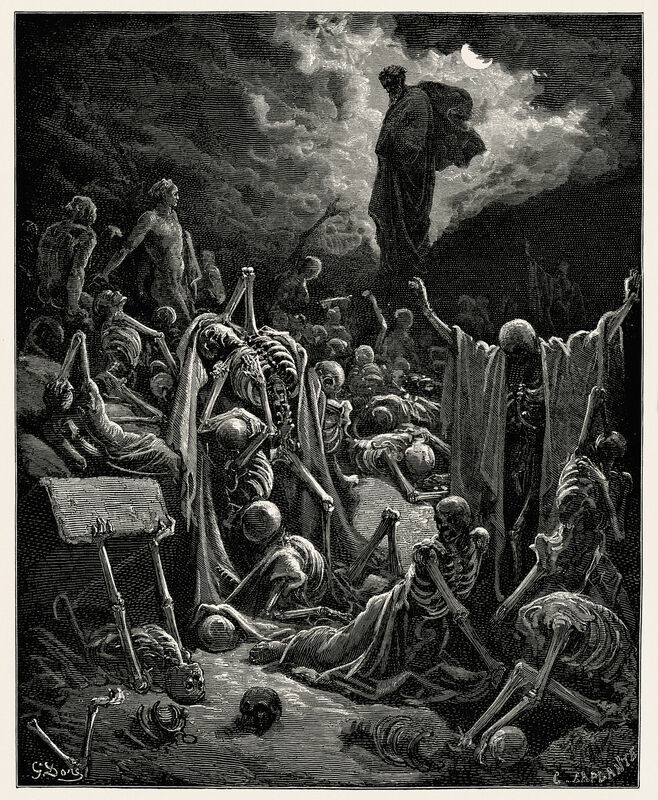 One of my favorite depictions of that scene is from Gustave Doré. I'm sure you've seen Doré's work before. Doré is famous in Christian circles for his illustrations of the Bible, 241 wood engravings done in 1843 for a deluxe edition of the Latin Vulgate version of the Bible. Those wood engravings have gone on to be reproduced in many other Bibles. I first encountered them in old King James Bibles. Doré illustrated 139 scenes from the Old Testament, 21 scenes from the Apocrypha, and 81 scenes from the New Testament. You can look at them all here.